Approximately 1 oz. 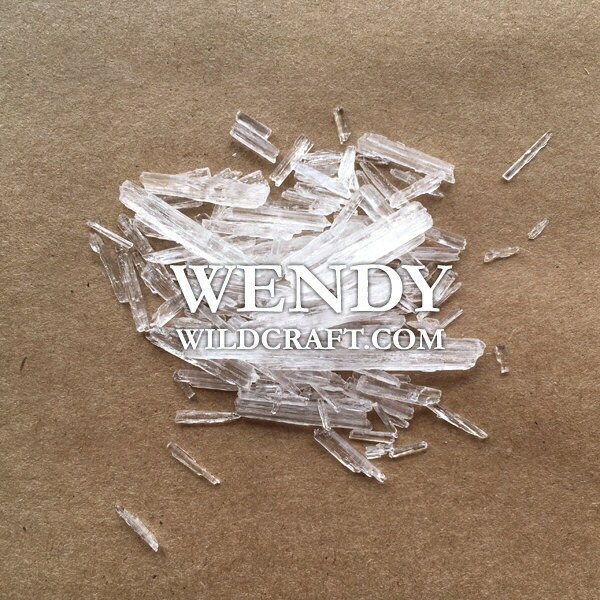 organic menthol crystals (Mentha arvensis). Menthol crystals are for food and cosmetic use. Menthol crystals can be used in cosmetics, salves, balms, creams, mouth care products, sprays, hair care products, soaps and oils. These crystals are strong! Only a small amount is needed. Up to 2% dilution in food 5% in topicals.